Late in April, I came across designer Viña Romero's Instagram post--an invite to what was a private sale for the #BasicMovementClub, featuring local brands Basic Movement, Ken Samudio, BAGASÁO, Randolf, Eliz Marcelo, and Viña’s own label at a secret location. Intrigued, I signed on the RSVP page online, and on the day of the sale, I received an SMS revealing the secret location: Esme Palaganas’ showroom, along Eisenhower Street in Green Hills. I had initially attended for the chance to see the clothing, try them on, and find something I could purchase. While I indeed did these things, the showroom weekend also provided me the opportunity to meet and chat with the designers present and others who were also fans of their work, albeit only for a short period of time because I had visited on a Sunday, before heading to church. Having my time cut short, I asked Esme if I could return the next day for better conversation. Much to my delight, she obliged. It was Monday mid-morning, and I was back at Esme’s showroom. With no other shoppers the space was much quieter, and sitting down for the first time alone with the Basic Movement designer, I suddenly found myself a bit starstruck. Kolleen: This is the first time I’m doing this—interviewing a designer! I’m a bit nervous. Esme: Let’s not call it an interview. We’re just sitting down, having a casual chat. Okay, that works! I guess I’ll start with what brought me here. I hear about private sales being organized by brands for the press or for VIPs, so yours was quite different. I saw the event invite on Viña’s public Instagram, and technically, anyone can sign up to RSVP for the Basic Movement Club sale. What made you initiate this? It was the idea of exclusivity and inclusivity at the same time, but it’s a very casual set up. This [space] is my atelier for clients who have their clothes made-to-order, so this is where I engage with them, and make chika. I thought it would be a good idea to pool other designers and invite clients to see their collections and interact with them too. The experience is more deliberate for you as a client, because you sign up, and we get your details in advance. It makes us both know what to expect. The other designers present—how did you get them together? Did you choose who else to have present or was getting together for a showroom weekend something you all came up with? 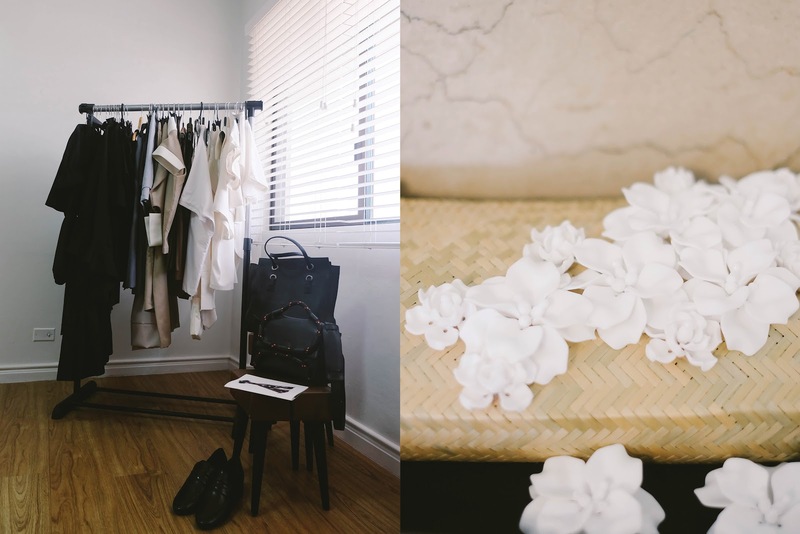 Growing up, I didn't know any Filipino ready-to-wear designer brands that I could relate to. All the RTW designers I knew were from either London or the US. So after I created Basic Movement, and I saw other designers also creating RTW clothing, I thought of creating a platform for us to make our items accessible. Eliz [Marcelo] and Viña [Romero] were my schoolmates in [De La Salle-College of Saint] Benilde. The rest of the designers [whose pieces are] here I met through Soma Stores in Green Sun before it closed or through shows. The Basic Movement Club is my initiative, but I make sure that I invite designers who I'm personally a fan of and whose pieces are varied enough, so when clients look around, each brand has its distinct aesthetic. I’ve actually also been talking to CJ [Carl Jan Cruz] over several dinners about what we can do to make our brands more visible and accessible. Something like Vogue Fashion Night Out, but month-long. 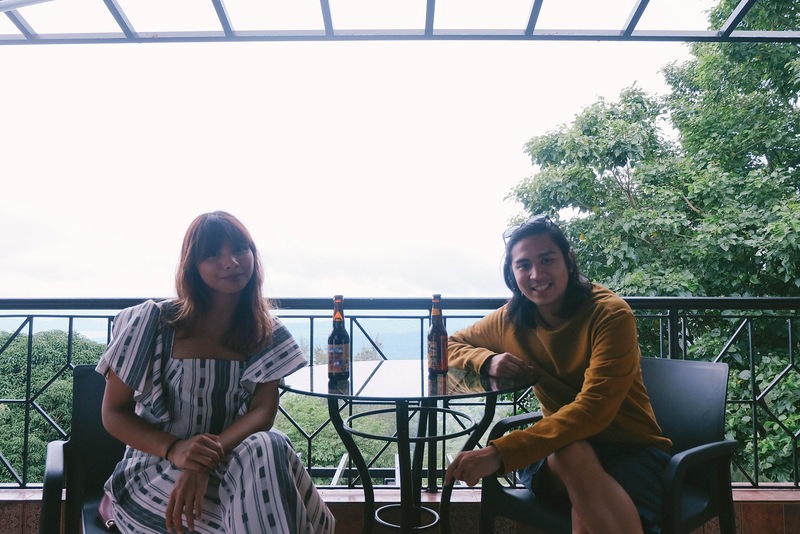 We don’t really have boutiques here in the Philippines, so we Filipino RTW designers have to keep coming up with our own platforms to raise awareness about our brands, to showcase our products, and to sell locally. You showcase your collections at Manila Fashion Fest, though, don't you? Yes, and it’s great, but the fashion shows here are just shows. They aren’t selling events, unlike in other countries where buyers are present. The Philippines doesn’t have a ready-to-wear industry. Our stockists are all abroad. Young local designers don’t have stockists here, and no big person here wants to take that kind of risk yet on our brands. What about e-commerce? A lot of brands now thrive online. The future is definitely online, but at the same time, you don't want to lose the tactile element. 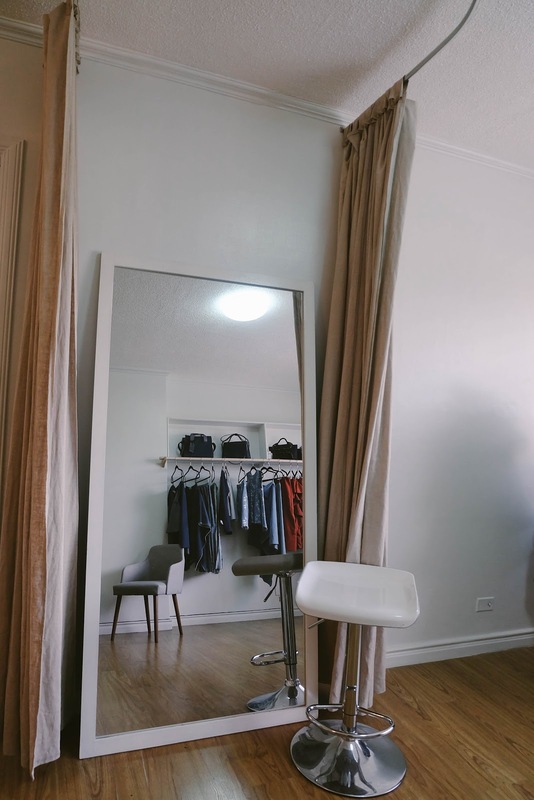 E-commerce is helpful, but why not open that kind of space outside of the screen, go beyond the pretty photos, and let clients feel the fabric, look at the details, and try on the clothes? We design for and produce ready-to-wear, so when the clothes are made, stocks are out, and for us, that means money is out. Ready-to-wear thrives with volume. We can’t rely solely on one channel for revenue to come in. You have to make your business sustainable. Yes! 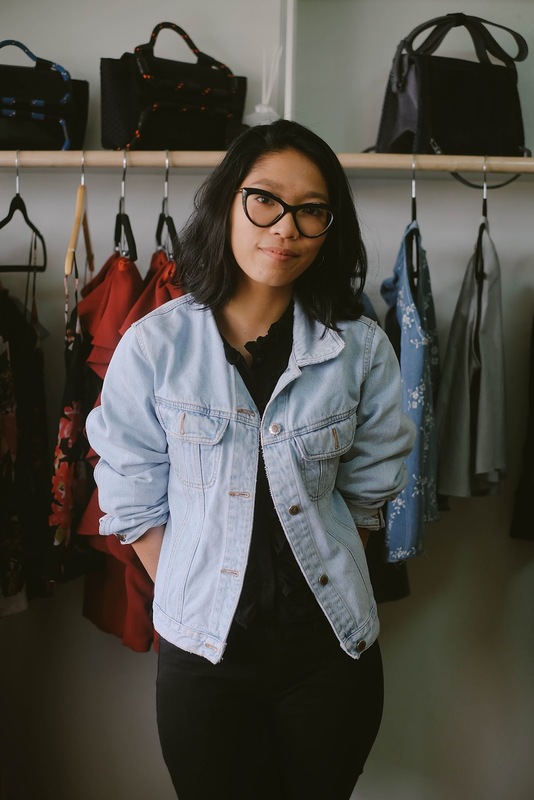 As a designer I first think about the whole story from the core of the design process—what my collection is about, what kind of woman do I see in the clothes—and then I have to sell. 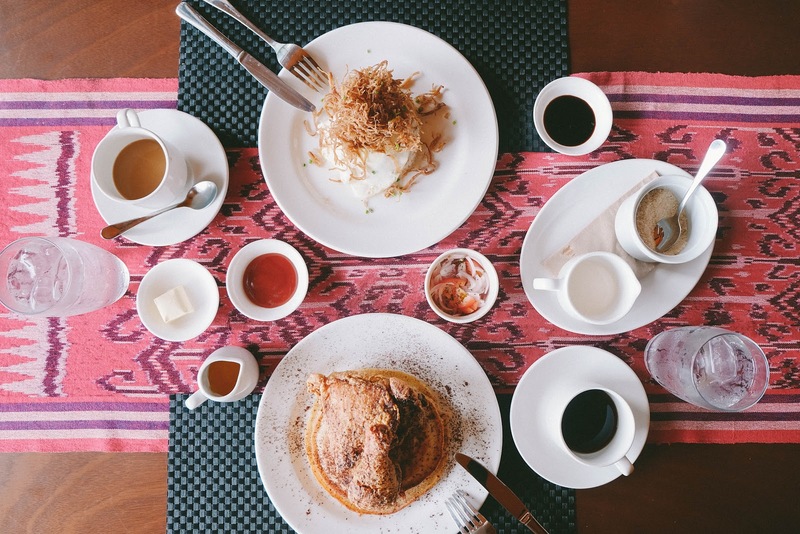 Have you ever thought about getting together with other designers and just putting up shop? It’s difficult. We’re all passionate about what we do, but sometimes it can feel like a group project, where one or two people end up doing more work than the others. It’s easy to say and invite designers to form a collective, but right now it’s not as feasible for us to maintain a physical shop for the long run when there’s no one dedicated person to managing it. That’s understandable, because on top of having to manage that store, you all still have your own labels to manage. Personally for me, it's a work in progress. I named my brand Basic Movement instead of Esme Palaganas because I love collaborating with other people and the trajectory I want for Basic Movement is to be like Opening Ceremony or Colette, where you have other designers, as much as you have your own brand. There's no other local brand doing that yet, with the vision and the goal to go global. It's eye-opening to hear you talk about the fashion industry from this perspective. The designers and brand owners I've talked to express more frustration about sourcing and our lack of a textile industry. Do you think this is why our fashion industry hasn't achieved enough economy of scale to go global? One of our problems is that we don't have a textile industry, yes, but I'd like to believe Filipinos are resourceful enough to make the most out of what we have. There may be better suppliers abroad but we also have good ones locally. Ultimately it's about a designer identifying his or her brand and product, then determining from there what he or she can adjust to cater to the market without losing the integrity of the brand. We find a supplier, create a good product, and price accordingly--those are things to consider on a business level. But to have a full industry, we need more streams of revenue and channels to distribute our products here before going global. 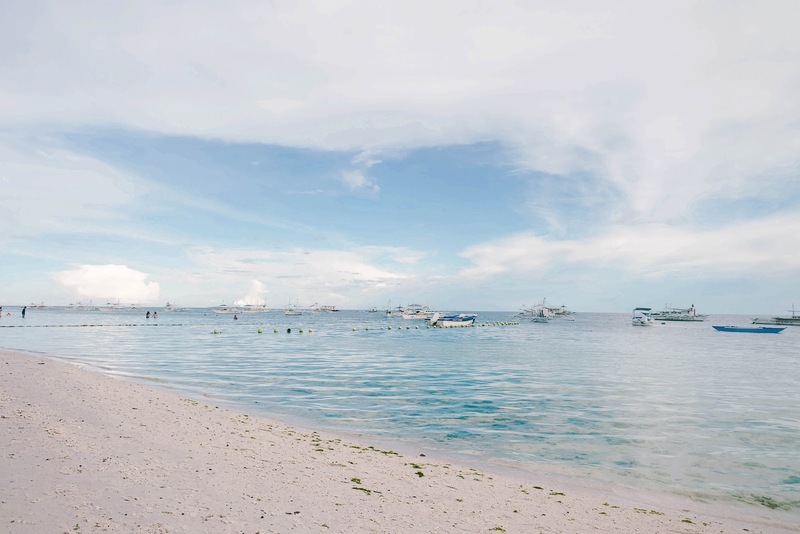 The Easter holiday may have just ended, but summer still seems to be in full swing here in the Philippines, and beach season hasn’t ended just yet. I personally wasn’t able to jump in on the bandwagon of local travellers over the long weekend, but I’m in high spirits I still have maybe over a month to schedule another beach trip. 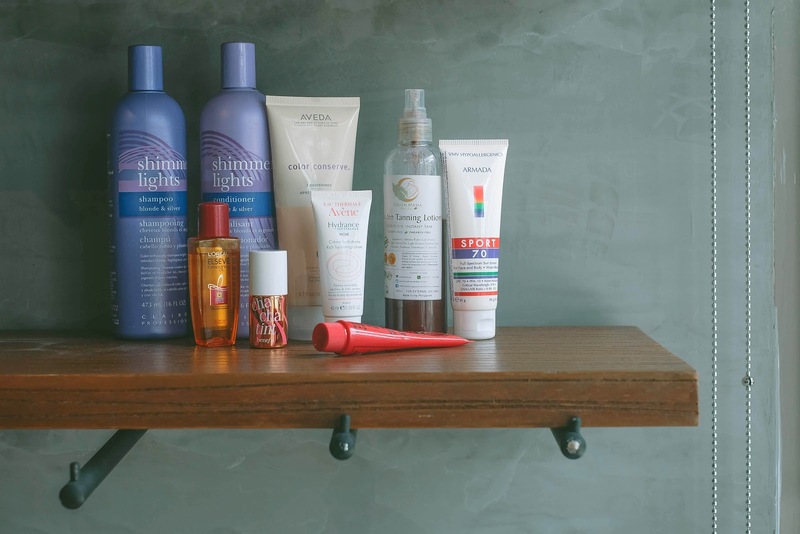 That being said, going on vacation by the sea can be great for one’s personal well-being, but quite stressful on our hair and skin, so I’ve rounded up my go-to hair and skin care products for the summer for a not-so-quick review and recommendation. 1.) Clairol Shimmer Lights Shampoo and Shimmer Lights Conditioner - If you have bleached hair or if you’re hair has been dyed a lighter brown than your natural hair colour, purple shampoo and conditioner are essentials for maintenance well beyond the summer. The purple pigment in both products tone the hair color to prevent it from turning brassy, or put simply, it prevents your hair color from fading into an unsightly orange. I feel like more people need to know about these products as it’s quite often I encounter people whose brown or blonde hair have turned orange, and in the previous years I’ve gotten my hair coloured, none of my stylists then ever mentioned it to me. It was only when I got my hair bleached by my current stylist, Leslie, that she taught me about maintenance of bleached hair with purple shampoo and conditioner. Clairol Shimmer Lights products are available locally at rainbowheadph.com. 2.) Aveda Color Conserve Conditioner - I personally love the textured look my hair gets after salt water dries from it, but bleached hair exposed to the sun and salt water for extended periods of time can get extremely dry and wiry. 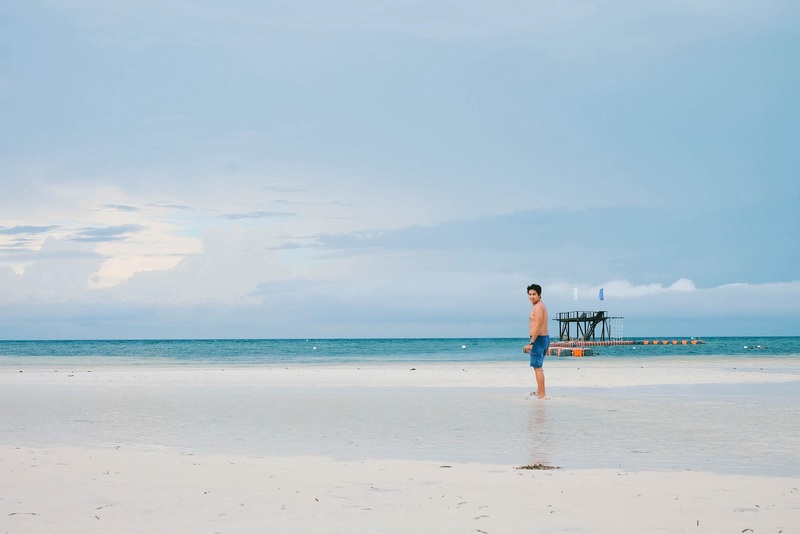 When I’m not at the beach, I usually just alternate this with the Shimmer Lights Conditioner, but during my stay in Bohol, I would combine it with the Shimmer Lights Conditioner to add moisture to my hair when I shower at the end of the day. You can Purchase Aveda products at Watsons in SM Makati. 3.) L’Oreal Elseve Extraordinary Oil - I got this as a Christmas gift and hadn’t used this till the summer because it's supposed to be a pre-blow dry kind of product but I don’t really blow dry. I just thought of making the most out of its UV protection feature by using it as a pre- and in-between-swims leave on hair oil. The more protection and moisture you can give bleached hair, the better. 1.) Green Mama Golden Tanning Lotion - This product delivers exactly what it promises— a golden tan. 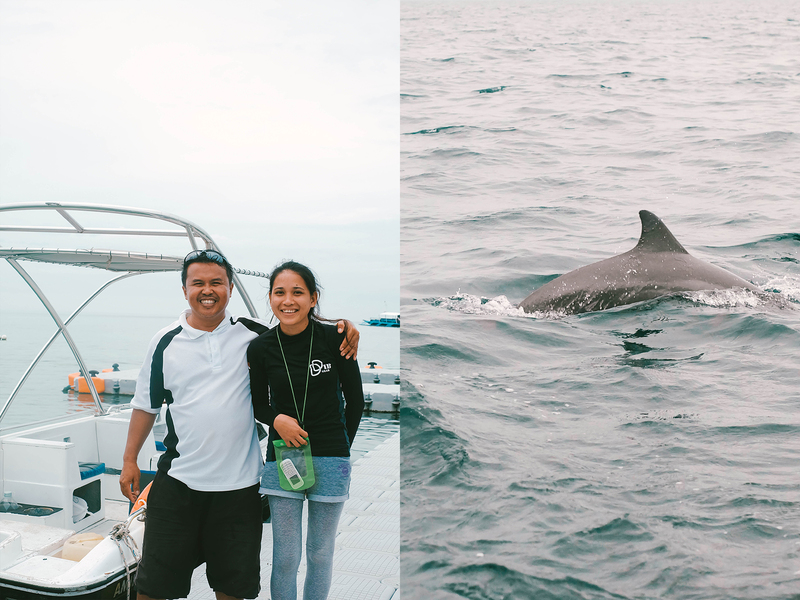 I used it on my first two days in Bohol, and also during a day spent poolside over the Easter holidays (about a month apart), so I was able to compare how it works when used at the beach and just by the pool. I’ve found that either way it delivers an even tan with a nice warm glow, and without any burns, as promised (Though I did layer SPF on top of it). This tanning lotion also has coffee extract as one of its ingredients, which makes it smell divine! 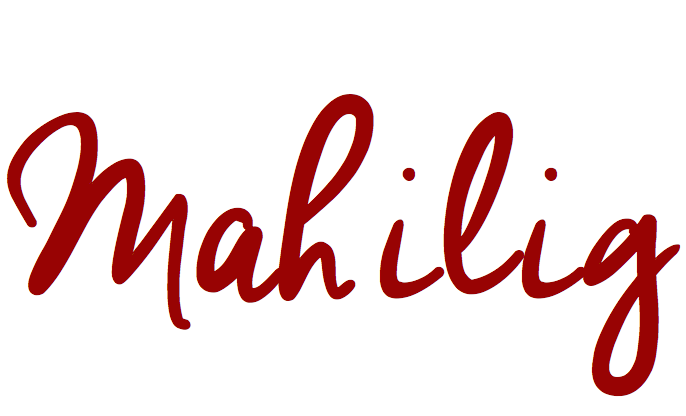 Green Mama has a store in Ayala Solenad 3, Nuvali, or you may purchase their products online at www.greenmamaph.com. 2.) VMV Hypoallergenics Armada Sport SPF 70 - I use this as my everyday SPF because it leaves a matte finish with no white cast, and is easily absorbed by the skin, so it doesn’t get sticky. VMV is available in select Watsons stores and also has stand-alone stores in SM Megamall and High Street at BGC. 3.) Avene Hydrance Optimale Rich Hydrating Cream - This is my go-to moisturizer during the dryer and colder months, but it’s great for soothing the skin post-tanning. I discovered this product back in 2013 during my semester in Europe, when my skin went haywire from the dry autumn weather, and was grateful Mercury Drugstore and Watsons started stocking it shortly after I got back. Its consistency is dense, so a little definitely goes a long way, but what I like best about it is, like the Armada Sport, once the product has been absorbed by the skin, it doesn’t leave a sticky feeling. I used this also as a body lotion after showering at the end of the days I spent tanning, and it helped keep the peeling minimal about a week and a half later. 4.) Lucas' Papaw Ointment - Do I even have to rave about what’s already a cult favourite? I guess it’s worth pointing out that this is actually an effective ointment that relieves minor irritations such as itching and minor burns, and I’ve used it for those, though more often I use this as a lip balm. 5.) Benefit Cha Cha Tint - This is actually a product that falls under make up more than skin care, but I bring this around with me everywhere, and if I had to live with just one make up product, this would be it. The peachy / coral color is more flattering for women with olive or darker skin tones because it looks more natural on us than bright red or deep magenta tints. It’s also extremely swift to apply— I just brush on a bit of product on each cheek and blend with my fingers, and proceed to apply on my lips as one would normally put on lip tint. 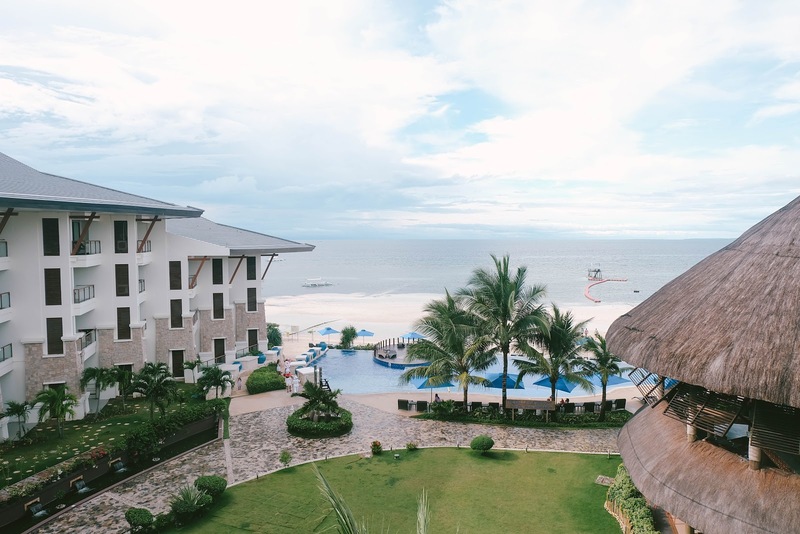 In the weeks following my birthday trip to Panglao, I’ve thought a lot about travel. 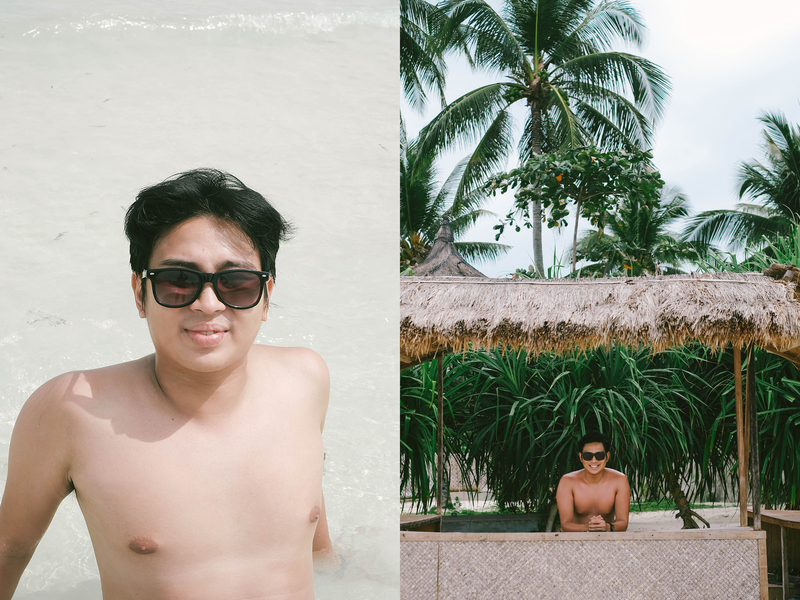 After having spent four days at the beach, I couldn’t help but feel like it wasn’t long enough; that I could spend maybe another week basking under the sun, with the pristine cool waters conveniently only a stone’s throw away. Until my thoughts weren’t so much about travel—hopping from here to there, and to a multitude of other places—but more of displacement. What is it about displacement that lures us in? Sapiens author, Yuval Noah Harari, identifies ours as the only specie to romanticize being away from our natural habitat, as a result of commoditising experiences. Shall we blame consumerism again, or is it part of human nature to lack contentment, and perceive the grass is always greener (or the sea is always bluer?) on the other side? Do we feel the same way about age? I suppose we are also the only specie that celebrates the passing of time, leaving one age for another. We leave the previous year of our lives and usher in a new one. Twenty-three years of triumphs and disappointments, of loves and friendships, of learnings, of labours and successes culminating into this moment, to usher in a new uncharted year, fittingly, in an unfamiliar island. Ah, to be twenty-four, with the rest of life to explore. In the age of Instagram, how do we really dress for ourselves? 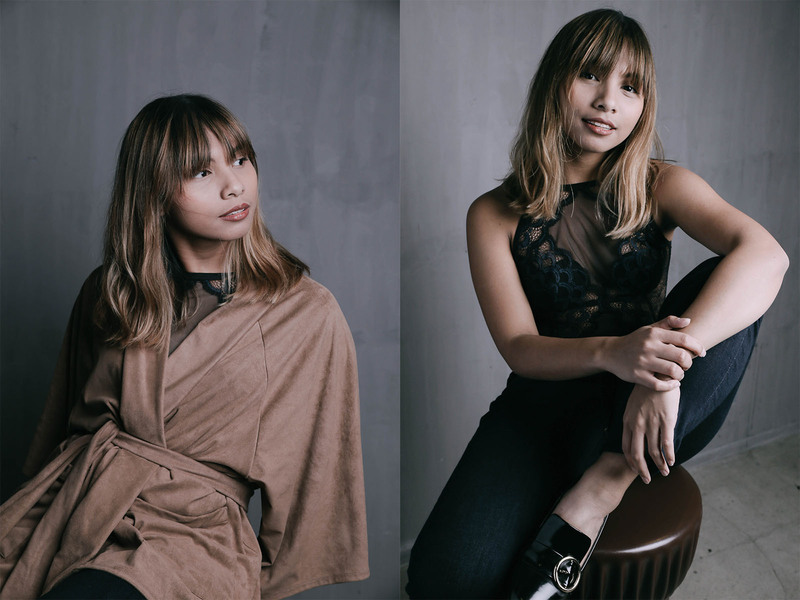 Top Filipino stylist, Pam Quiñones was once quoted saying, "Style is the process of elimination," and while at first it sounded like a verse from an ordained fashion bible, its exercise is feeling more like a style rut than a sartorial awakening. See, in the recent months, I have reduced my daily wear to pretty much the same pieces in almost formulaic combinations--custom trousers in the same fit in three different colors or skinny jeans or culottes, men's button downs or tank tops or body suits, a coat, and the low to no heeled slip ons if not white sneakers. On lazier days- slip dresses. During my free days- activewear. The frills, including what used to be my staple of 4-inch heels, have been eliminated from day-to-day wear and have now been reserved for actual events or important meetings. And I suppose this is what’s causing me to feel rather stuck. Throw in social media, more particularly Instagram, in the conversation and the dialogue becomes even more self-confronting. In a profession that doesn’t actually oblige me to document myself, what or who am I dressing up for? Of course, fashionable women ought to answer, “Myself!” but how genuine does that ring true if even a fraction of the motive considers how it’ll look on Instagram? 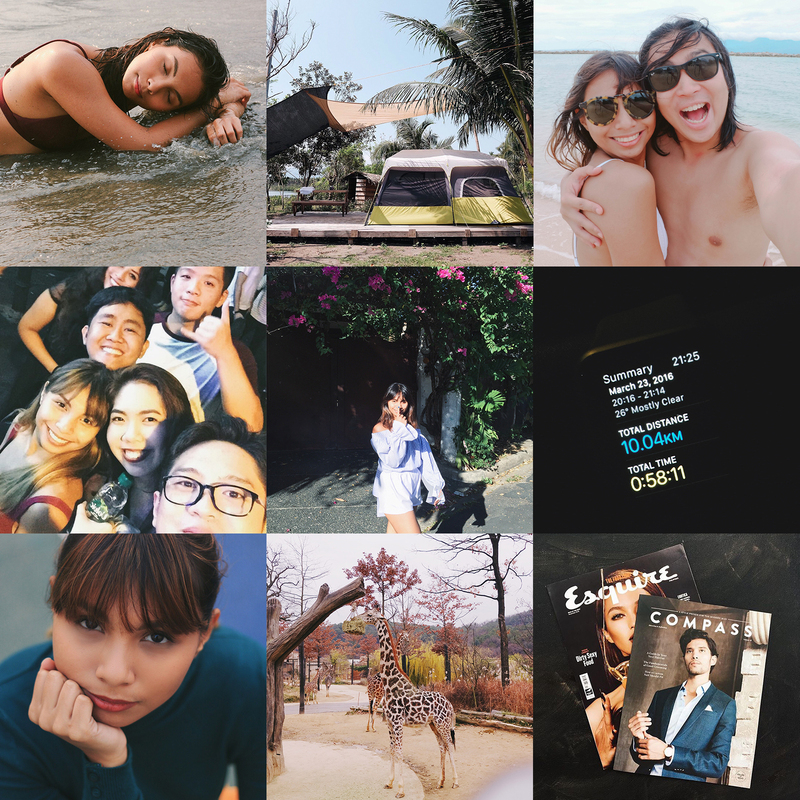 Whether we like to admit it or not, Instagram is not solely a platform for self-expression but also for seeking external validation via those ubiquitous little hearts for likes and comments of approval from our friends or followers. If it were truly only for ourselves, we’d just take the photos and store them in our mobile’s albums, or maybe have them printed to store in physical albums like those from the yesteryears. But where’s the fun in that right? I had originally assumed the excesses Pam was referring to were the trendy pieces that didn’t really go with one’s personal aesthetic, but could she have also been speaking about today’s excessive rituals for peer approval? I suppose I won’t know until I ask, but while I muster the courage, I’ll be sticking to my recent formula for getting dressed in the morning. It feels quite repetitive and may not be worthy of the daily ‘gram, but I’ve always been a creature of habit, and the rhythm is both comforting and efficient. By the way, I didn’t push through with buying the lace jumpsuit, because I remembered I have this bodysuit which can pretty much approximate the look. There are many things that can be said about 2016; mediocre is not one of them. For my country, it was a year of anxiety, uncertainty, fear, and even anger-- The Philippines saw, in one-fell swoop, the rise of Rodrigo Duterte to the highest position of the land, leading to his infamous war on drugs and a controversial change in foreign policy. Bongbong Marcos, son of the late dictator Ferdinand Marcos, almost won the vice presidency, then his father was secretly buried behind the public's back. For the world, 2016 hasn’t been so great either. Brexit, US President Trump, the victims of Aleppo, to name just a few. On the other hand, 2016 for me was a year of growth and answered prayers. This year, I developed both my personal and professional relationships; I’ve become part of the pioneering team for the company I’ve been working with; I had both planned and unplanned travels; I’ve become part of a church community, and have grown a deeper faith. For a while I found this difficult to reconcile. Would it be insensitive to the world to celebrate this year’s personal successes? What a privilege I must have, that I get to revel in these good fortunes! Is it so naive to think that we are all back to square one, all with clean slates, all given an equal chance of starting anew in 2017? Perhaps, what the new year offers, albeit not necessarily from an equal footing, is a chance for all of us to move and push forward, and the realization that time chooses neither good nor bad moments to keep still. Maybe what we really celebrate is the finiteness of it all. And when we look at the world from that lens, it’s not so selfish for each of us to take a step back and count the good times we’ve had, collectively and individually. Let me then borrow the concept of Instagram’s #2016bestnine, but instead of rounding up the photos with the highest likes, I’ve put together a grid of my favorite times in 2016. 1. Going to Zambales during my birthday month. 6. Running my first 10 kilometres, and in under an hour! In 2016, I ran a total of 552.81 kilometers. This year, I intend to run a total of 720 kilometers. 7. Back in high school, I swore I would never get full bangs again. Last year, I took a leap of faith in my stylist, Leslie, and she worked her magic by giving me full bangs on my birthday. I’ve been maintaining them since. 8. Finally seeing a giraffe in real life! Through all of these, the single most valuable lesson I’ve learned in 2016 is to be deliberate. At the beginning of 2016, I wrote down a list of goals, and the ones I achieved were the ones I intentionally chose to achieve every day, or during the limited opportunities I had to choose them: to exercise, to work with a vision, to travel, to spend time with loved ones. In 2017, I wish for all of us to find meaning in everything we do—whether that meaning is as simple as enriching our relationships with family and friends, or as grand as making the world a more sustainable place to live in—because time is a terrible thing to spend aimlessly. It waits for no one. It will move forward, and I hope we move forward with it with a purpose. Whoever made up the saying Choose a job you love and you’ll never work a day in your life, was either stuck at a job he was miserable at and never got paid to do what he likes so he never knew what it was really like, or got paid to actually sleep on the job. I love what I do, and after weeks of consistently being on the grind as we prepare to open more stores, I am tired. 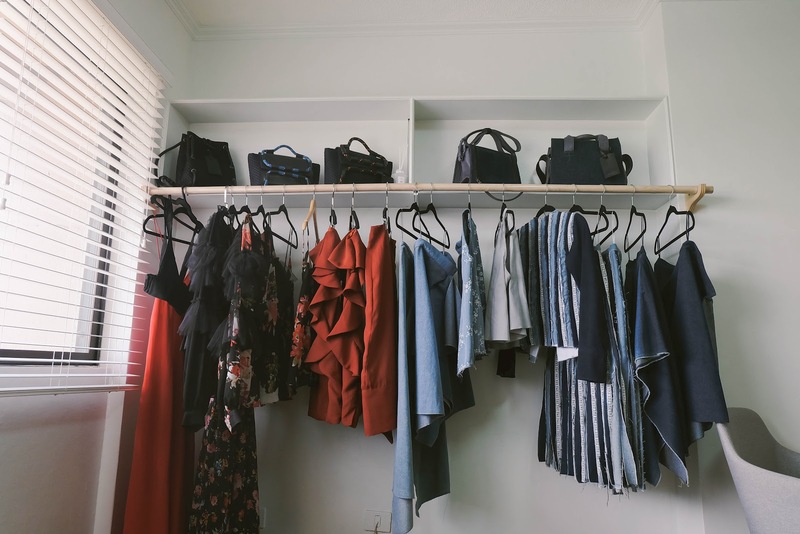 When I decided I wouldn't pursue my childhood dream of earning a law degree, it was on the sole condition that I would instead pursue no less than a career I would wake up on a Saturday morning for--anything in fashion retail I could get into. I didn't imagine then it would be in men's fashion. Nonetheless, I'm here, and I love it. Not every minute of it, but I know it's where I want to be. I don't particularly count the weekends I had spent on the job, but I gather there are a handful to date, and more are expected in the coming months. The thought of it is arduous, and on some days the hours pass like each rep in set of push ups. And on those days, I have to will myself to just pull through. Just get things done, each push deliberate, and with the end already in mind. The sigh of relief after is instantaneous. And like exercise, I know I have to do it again the next day, and the next. The thought of it is arduous, just as it is deliberate and purposeful. This is where I want to be. This is the path to where I want to go. So to hell with being tired. Marching on to beat of Beyoncé's drum, I dream it, I work hard, I grind till I own it. And, okay, maybe sneak in some photo-taking on the days when work is fun, i.e. shoots and events. Monday, I'm ready for ya. I’ve always found myself a bit conflicted about rain. On the one hand, it gets difficult to get around with the inevitability of getting soaked; On the other, I welcome the escape from the oppressive Manila heat and humidity. Rain seems to be the unfailing catalyst for wanting to hole up somewhere, unplugged. 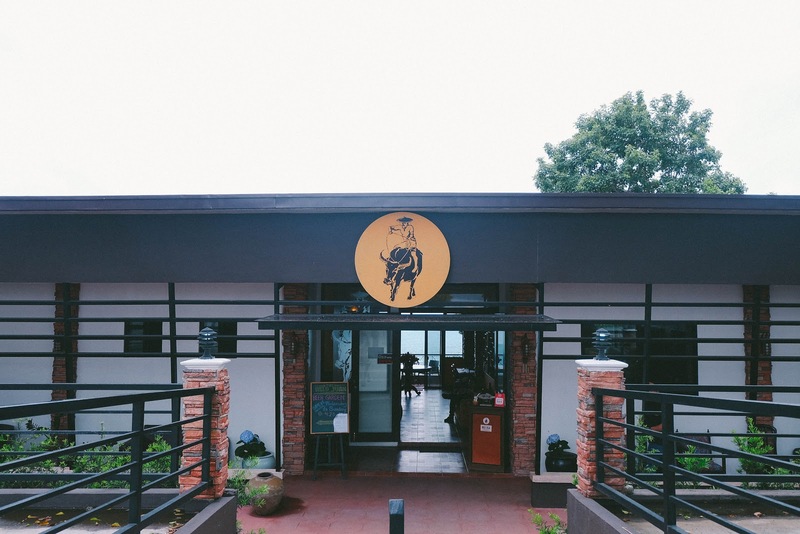 The Wild Juan in Tagaytay offers a welcome refuge. “Where Southern comfort meets East and West,” their tagline aptly reads. More than the allusion to Southern American hospitality, it was the saloon-inspired charm and the lure of the new within the familiar that drew me in. 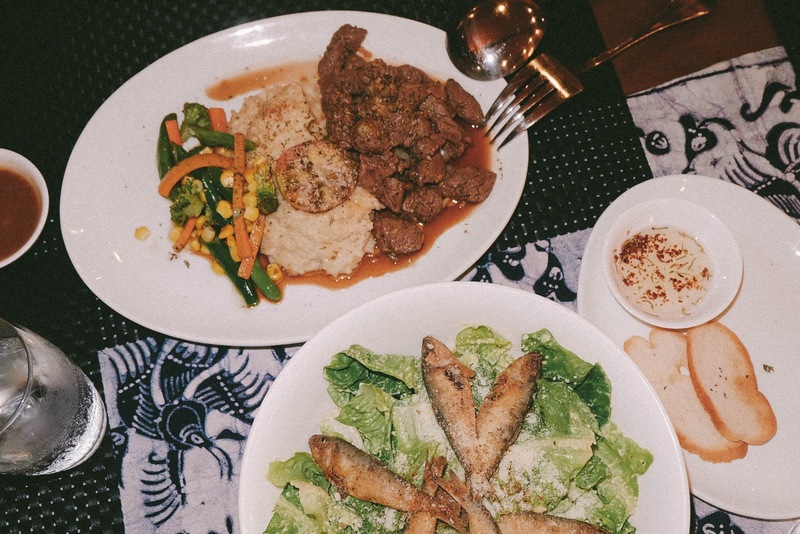 This was my third visit to Tagaytay this quarter, but my first time to stay at The Wild Juan even if they’ve been open for nearly a year now. You can visit a place over and over and still discover something new, so they say. 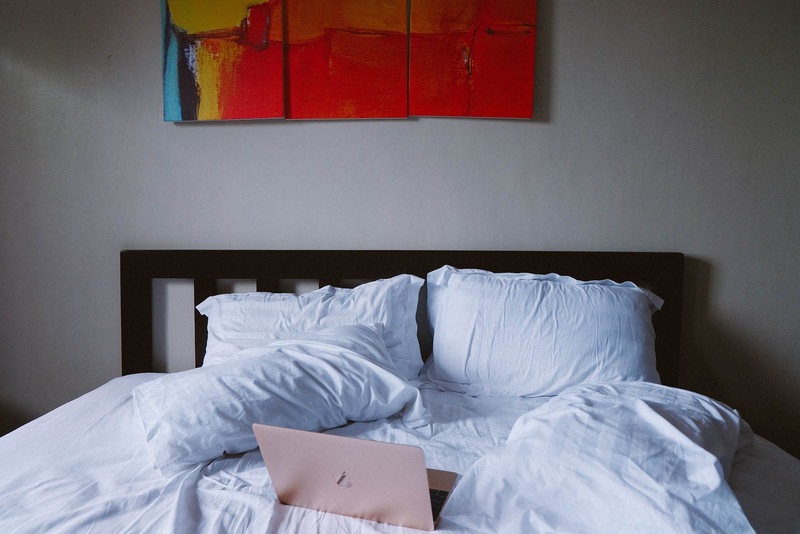 The lure of white sheets and fluffy pillows. 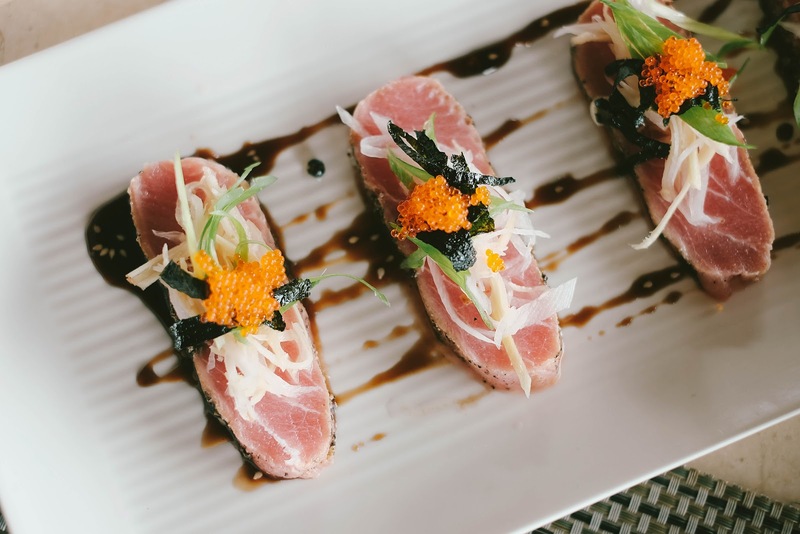 It may have also been the anticipation to catch up with their head chef, Thomas Murillo or simply Tommy, who has been a friend for eleven years now. Recollections of teen folly were obligatory after a Steak Tagalog for dinner, which was a generous 300-gram serving of Batangus (Get it?) tenderloin cooked medium, paired with buttery mashed potatoes, vegetables and proper drippings for gravy. As the evening progressed, so too did our conversations—from the business viability of craft beer (over, of course, craft beer. 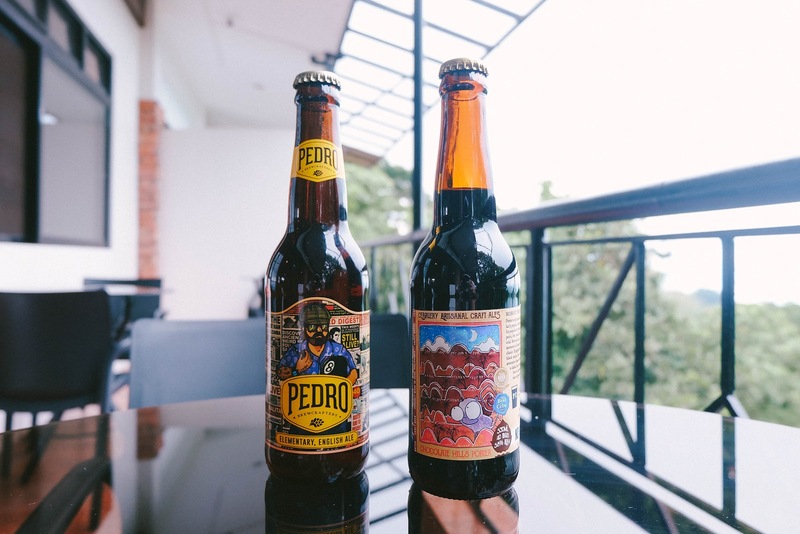 We had Pedro Elementary English Ale and Cebrewery Chocolate Hills Porter.) 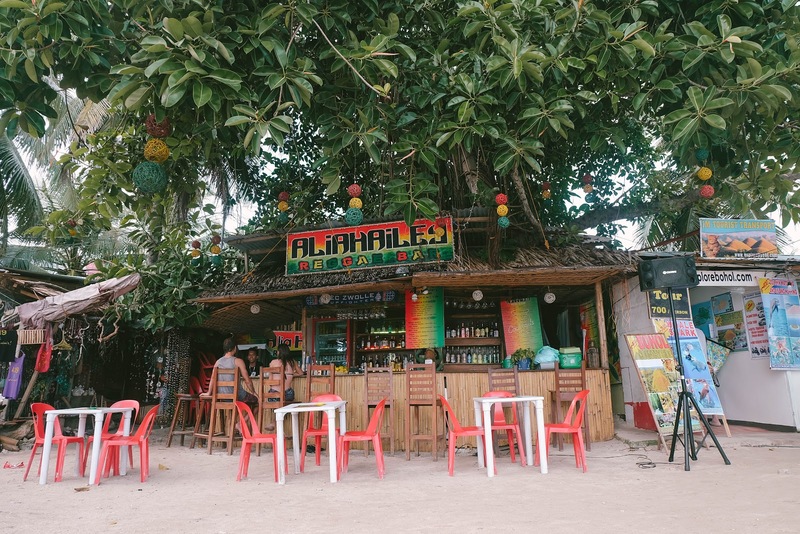 to the vision Tommy has for The Wild Juan- “It’s intended to be a second-home for both Manileños and the locals here. 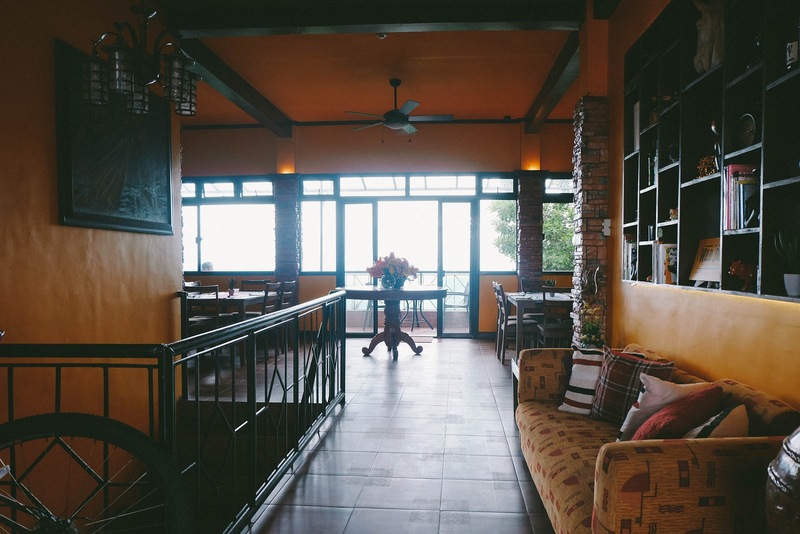 A cozy place where we can all enjoy great food, down some drinks, and eventually spend the night. 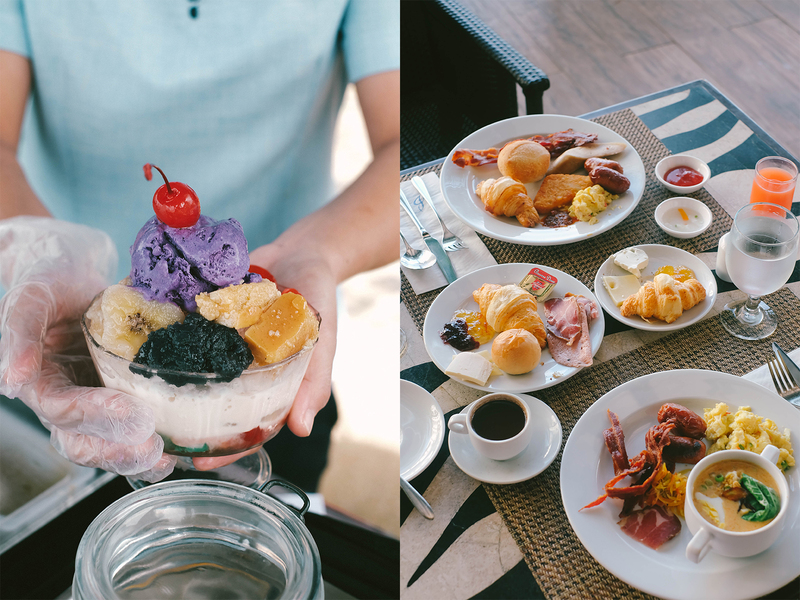 Everybody thinks Tagaytay is an accessible escape. 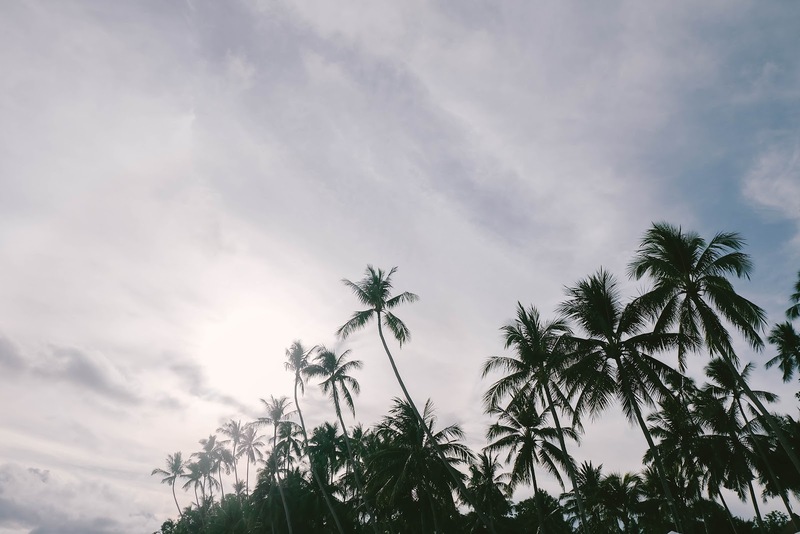 It’s our goal to be analogous to that.” Sitting in the balcony with the breeze blowing, in the midst of great company, I thought it was a vision well-grounded in tangible reality. 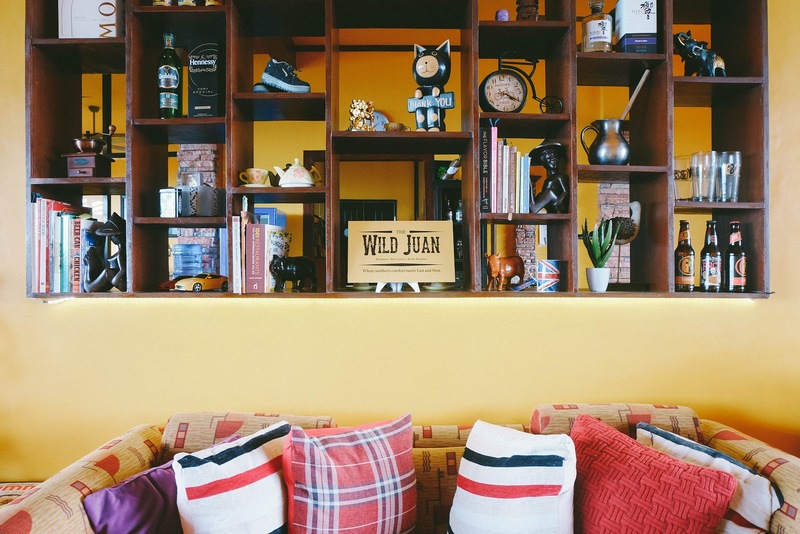 With a full-fledged cafe in the works and the possible extension of the bed and breakfast to a campsite within the rest of the property, Tommy’s plans of expansion for The Wild Juan are bold, but clear and vivid, and beguile the entrepreneurial chef’s youth. Did I mention he’s just 24? 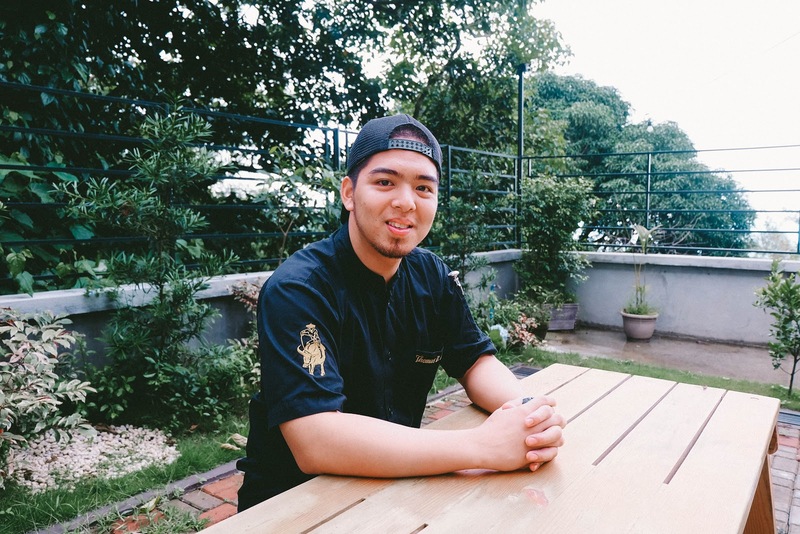 After abandoning a possible career in foreign diplomacy to pursue culinary, Tommy’s--and consequently The Wild Juan’s--story is quite the common millennial narrative, albeit one that proves that the millennial pursuit is grounded not on entitlement, but on forward thinking self-awareness. “I was studying hard [for diplomacy] but I just didn’t see myself as an ambassador or an attaché, so I had to make a decision [to stop], and see what else was out there for me. It took a while before I found myself in culinary, but when I finally did, I dove head first and just sought to learn. I took a course and worked at a kitchen, until I was capable enough to build something of my own. I’m also lucky I met a co-chef to partner with to help me with The Wild Juan. It’s all been very hands on work and continuous learning, fuelled by passion for innovative food.” The excitement in his voice was palpable, and nothing short of inspiring. Also, I couldn’t help but wonder- what am I doing with my life? While I’m not quite sure I’ve watched enough The Food Channel to figure out what makes food innovative vs. merely trendy, I can attest that the food was indeed delicious. For breakfast the next day, I had the best fried chicken I’ve ever had (and I’m not even really a fan of fried chicken. Not even Chicken Joy.) with fluffy cinnamon pancakes and hazelnut brewed coffee. 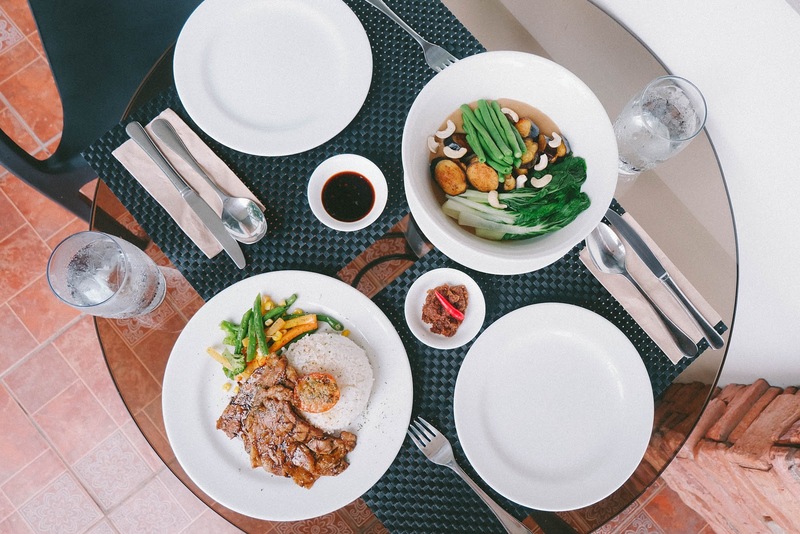 For lunch, Paolo and I had pork belly and vegetable kasoy kare-kare, and wiped our plates clean. If we had the luxury of a third day in a weekend, we would have hibernated stayed another night just to try the rest of the menu al fresco at the beer garden after the skies cleared. Ah, well, it’s a compelling reason to go back. I'm looking at you, Risotto sa Gata. 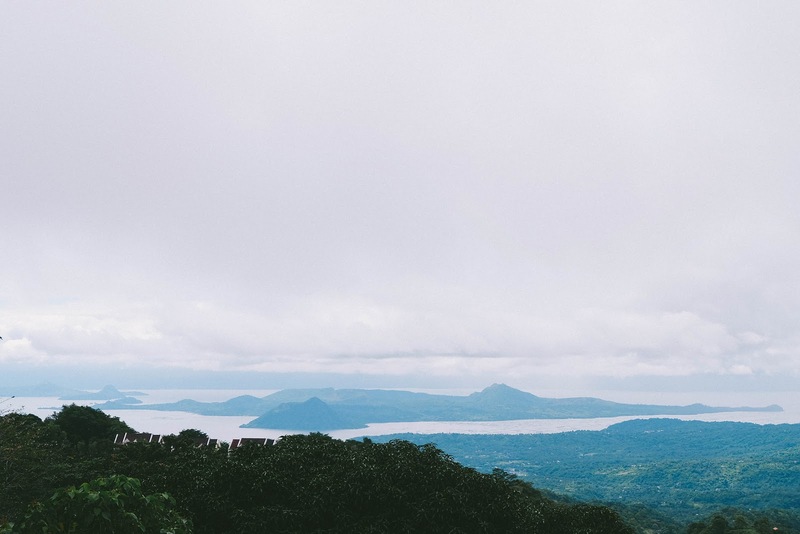 The Wild Juan is located at KM 68 Pinesville, Tagaytay-Nasugbu National Highway, Barangay Niyugan. For reservations and inquiries, call +63915 4324196 or +63917 8404211, or visit their Facebook and send them a message.